Earn 2% cash back at gas stations and restaurants on up to $1,000 in combined purchases each quarter, automatically. Plus, earn unlimited 1% cash back on all other purchases - automatically. Just as life doesn't always go as planned, your credit score doesn't either. But don't fret; credit card issuers like Discover won't leave you out in the cold. 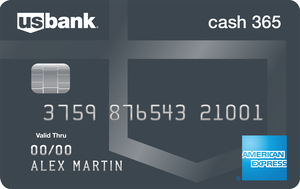 For those with less-than-stellar credit, there are secured credit cards and one of the top options is the Discover it® Secured (This card is not currently available on CardRatings) card. The Discover it® Secured looks the same as any other credit card, but functions a bit differently. Instead of qualifying for a credit limit based on your credit profile and income, this card requires a security deposit of at least $200, which, if you're approved based on your credit profile, will determine your credit limit. Like a traditional credit card, as you use your credit card, you will need to make payments each month. This credit activity is then reported to the three major credit bureaus so on-time payments and responsible use will help build your credit score up over time. In fact, after eight months your account will be automatically reviewed monthly to see if your security deposit can be returned and the card transitioned to a traditional unsecured card. To apply, you need to be at least 18 years old, have a Social Security number, U.S. address and U.S. bank account. A minimum security deposit of $200 is required to establish your line of credit with this card, but there's no annual fee. Your maximum credit limit (up to $2,500) will be determined by your income and ability to pay. Perhaps most exciting about the Discover it® Secured is that this is a rewards card – fairly unheard of in the secured card market. This is a unique secured card that offers cash-back rewards. Earn 2 percent back on the first $1,000 spent each quarter at gas stations and restaurants (then, 1 percent) and 1 percent on all your other purchases. Discover will MATCH all the cash back you've earned at the end of your first year. After eight months of responsible use, Discover will automatically review your account monthly to determine whether you're eligible to be transitioned to an unsecured card. While there's no annual fee, the minimum security deposit amount could be a stretch for some people at $200. If you can't see coming up with that deposit, there are additional secured cards with lower security deposit requirements. The best part about the Discover it® Secured card is that, despite a credit rating in the less-than-perfect range, with approval and your security deposit you're still given access to many of the same benefits as someone with good credit. For instance, you'll earn 2 percent back on the first $1,000 you spend at gas stations and restaurants each quarter and 1 percent back on all your other purchases. Better still, Discover will MATCH all the cash back you earn at the end of your first year as a card member; that means that earning $100 in cash back is actually worth $200 thanks to the match. Looking ahead, you will also have the opportunity to transition from a secured credit card to an unsecured line of credit as long as you show a pattern of responsible spending and paying over an eight-month period. Also an excellent feature is the fact the Discover it® Secured does not charge an annual fee – its not unusual for secured cards to require both a security deposit and an annual fee to carry the card. Discover boasts all U.S.-based support centers that don't just handle questions about missed payments and lost cards. They also form the backbone of an identity theft detection and resolution system that has earned Discover top marks from some of the industry's toughest critics. 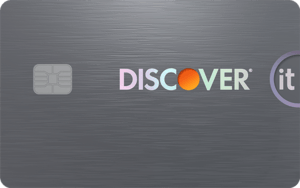 Although the cash-back rewards associated with the Discover it® Secured card entice potential cardholders, the downside is that not every applicant is approved. Approval depends on credit history and other financial variables. If you're uncertain that you will be approved and don't want a hard credit inquiry on your report, a different secured credit card might be a better fit for you. Furthermore, you'll need at least a $200 security deposit to get started with this card. That's a substantial amount of money that you'll need to come up with. Earn 2% cash back at restaurants & gas stations on up to $1,000 in combined purchases each quarter. Both cards report to all three major credit bureaus, but Discover requires at least a $200 security deposit to establish your line of credit, while the Capital One® Secured Mastercard® offers the opportunity, depending on your creditworthiness of opening an account with a security deposit as low as $49 (your security deposit will be $49, $99 or $200 depending on your creditworthiness and will secure an initial credit line of $200). Neither card requires an annual fee. Because of the cashback perks, the Discover it® Secured could be the better pick for you if you can get the higher initial security deposit together. However, the Capital One card can give you access to a higher line of credit if you make your first five payments on time. Neither the Discover it® Secured nor the Citi® Secured Mastercard® charges an annual fee. Like Discover, Citi® asks applicants to make a refundable security deposit that will be equal to their credit limit. The two share a minimum security deposit of $200. The cards have similar perks, but only the Discover it® Secured offers that dollar-for-dollar cashback match after the first year. Additionally, the Citi® Secured Mastercard® is not available to individuals who have had a bankruptcy within the past two years. 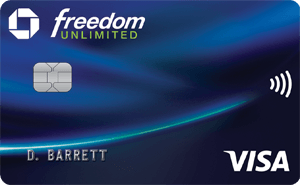 The OpenSky® Secured Visa® Credit Card is a secured card option that comes with an annual fee of $35. Pay your security deposit of at least $200 and enjoy a credit limit of $200-$3,000 (depending upon your deposit amount) with the opportunity to raise that limit to $5,000 within the first year with responsible use and payment. Once again, you're dealing with an annual fee, but if you foresee wanting a higher credit limit soon, this could be a better option for you. You can also open an OpenSky® Secured Visa® Credit Card without a credit check or even a checking account, so this could be a great option for individuals starting from the ground up with their credit history. If you're truly trying to rebuild your credit and expect to be able to increase your spending in the next year, the Discover it® Secured card is for you. The opportunity to earn rewards is impressive for a secured card, but the match that Discover offers after your first year is truly exceptional. With no annual fee and reporting to all three major credit bureaus, this card is perfect for those starting out or starting over.